Are you looking to sell your car quickly? Quality photography will drastically increase the number of phone calls and boost the rate at which your vehicle sells. Besides the shots, we edit our photos professionally and store them in a private album that you can share or download pictures individually. Our high quality photos attract customers by displaying your car professionally and attractively while providing a realistic and honest look at your vehicle. Do you have a beautiful car and you want a framed poster of it? Or are you trying to sell one and need to have every single angle to be photographed? Find more information about our Automotive Photography service that we provide in South Los Angeles, Riverside County and Orange County, California. If you are the proud owner of an automotive gem, a collectible, or a one-off car, we'll photograph it beautifully, taking care and shoot from angles that accentuate the car's design. We can shoot practically anywhere you'd like the photos of your car, we even offer rolling shots which actually is one of my favorite kind of shooting! Do you have an exceptional car or you are trying to sell one? Find more information about our Classic Car Photography service we provide in Orange County, California. Planning an automotive event or meeting in Southern California? Whether you're planning a car show or your car club's next track day, TED7 Automotive Photography is sure to exceed your expectations! From rolling photo shoots in our media car, to individual car photoshoots, contact us to make that happen! We provide photography services to realtors for houses and / or apartments. Our cameras are compact and equipped with wide angle and fisheye lenses allowing us to take pictures even in the smallest rooms. Check this page for more information about our Real Estate Photography service we provide for home owners and Real Estate Agents in Orange County, California. Contact us if you need anything to be photographed "the right way"
I'm a professional photographer who has a passion for cars and photography. It started off as a hobby, but rapidly developed into an obsession! I specialize in automotive and real estate as well as culinary and event/party photography. Feel free to contact me if you have any questions about my services! 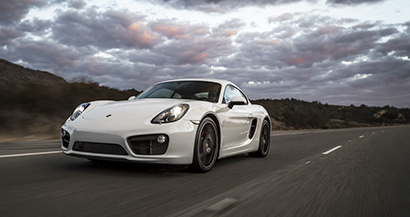 That Porsche Cayman S has been shot for a private party! Check the photo shooting of that car here! This means you must have permission to use the photos in any way that does not fall under the limited rights granted by the “fair use” clause of the copyright law. “Fair use” does not extend to taking the photos and putting them on your own website, even if modified and for non-commercial use.